Well, GNB'ers it has been a long strange trip for us over here on the other side of the planet in the land of the rising sun. I have missed writing here and missed you all. I am still out there, still thinking and writing and struggling and growing. But life got in the way on the blogging front. And then this year there was the QUAKE and all that stuff. It was a life changer- and things two months later are finally settling into what we are calling the new normal. I live in Tokyo, not up north, so the issues I am dealing with are of course so much less horrible than the folks in the Tohoku area who lost everything and more than 10,000 of those people are no longer with us. So the ones that remain on this earth will be dealing with loss, pain and hardship for a long, long time. The world has moved on, Syria, Libya, tornadoes, and the mighty Missisippi have captured the attention of the world and just like those who continue to rebuild and regroup in Lousiana the Japanese (and those of us who are outsiders but call Japan are home) are working through issues that have a much longer life space than the Corp. Media's coverage would have you believe. Things at the plant in Fukushima still are horrible and unresolved. I am helping out some friends at Safecast.org via our group at TokyoHackerSpace to build and distribute radiation dectection monitors and information. 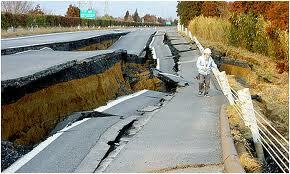 We still get the occasional aftershock, even down here in Tokyo. And businesses are still effected by the change in resources and perspective that follow an Event of this - forgive the pun- magnitude. I myself and still processing, I still get nervous when the rumbling starts and I still worry about the long term effects of the radiation across Japan- but that is all part of the new normal. If you want to help out, AND experience the quake through the eyes of folks that were deeply effect, I humbly recommend 2:46QuakeBook. #quakebook featuring Scala & Kolacny Brothers and Kings of Leon from Quakebook on Vimeo. I hope to come see you all here more often as I get back to the business of life going on. be well. love each other.